When it comes to authentic Japanese classics, absolute originality, and totally fresh produce, no one does it better than Nihonbashi. 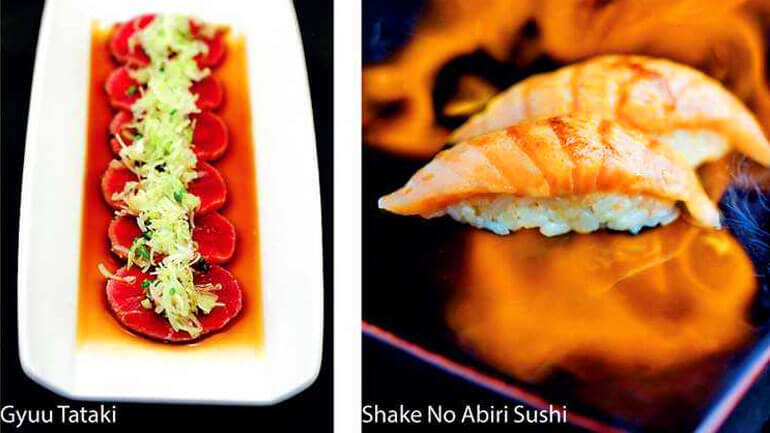 Now, citizens of the hill capital Kandy can enjoy all this and more at Café Nihonbashi at The Radh. An extension of Nihonbashi, Café Nihonbashi at The Radh in Kandy, has an indoor seating capacity of 50 guests, and is open for lunch and dinner, serving a selection of Sushi, Sashimi and Tempura, as well as favourites such as Okonomiyaki and Kani Chahan, and a delectable range of Curry Rice and Donburi for rice lovers. An absolute must-try is the exclusive bento box that has been created, and christened the Perahera Bento in honor of the city’s iconic Esala Perahera. The box is available for dine in guests as well as for take away. The newest entrant in the country’s ever-expanding hospitality industry, The Radh, is a four star property owned and managed by Icon Hotels. With an unparalleled location in the heart of the city, the boutique hotel is just walking distance away from the Sri Dalada Maligawa. ‘The Radh’ refers to Royalty in Kandyan history and is derived from the Sinhala word ‘Radala’. As such, it is no surprise that Architect Nandika Denipitiya was inspired to a great extent by traditional Kandyan design motifs. This tribute to the heritage and cultural majesty of the ancient kingdom is manifest in unique artistic nuances throughout the hotel. Icon Hotels Chairman Afzal Marikar said: “The Radh is the fulfillment of a long treasured dream. Kandy is the heart of this country. Our ancient hill capital has so much to offer visitors, and The Radh is a tribute to the grandeur of the past and the continuing wonder of the present. I am proud to say that every effort has been made to preserve the cultural identity of our surroundings, and to bring that unique atmosphere within the walls of the property. This partnership with Nihonbashi is something I am extremely delighted with, since The Radh is now able to offer not just our guests, but everyone in Kandy, a chance to experience Dharshan’s famous cuisine.” Known for being at the forefront of Sri Lanka’s culinary scene and for its dedication to serving fresh produce, Nihonbashi is a restaurant with a bi-cultural mindset. Founded 23 years ago by chef and restaurateur Dharshan Munidasa, the restaurant not only plates up authentically prepared Japanese classics, but also pushes the envelope to create exciting original dishes and combinations of flavors. 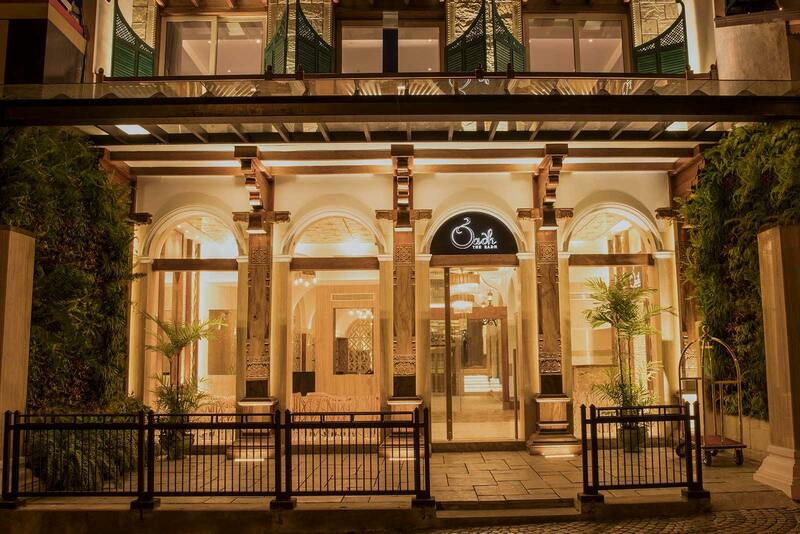 Nihonbashi was the first Sri Lankan restaurant to be ranked on the prestigious “Asia’s 50 Best Restaurants List” in 2013 and has remained on the list for six consecutive years. The restaurant is at no.45 in the 2018 edition of the list. Icon Hotels Ltd. is the newest venture and hospitality arm of the Conmix Group of Companies, which boasts three generations of professional experience and accolades in the building and construction industry. The company has a diverse portfolio of business ventures in Sri Lanka ranging from civil construction, hydropower generation, building material manufacturing, logistics, trading and dairy products.